MathJax does not require installation of additional software or extra fonts on the user’s system. Instead of equation images or Flash, it uses combination of HTML and CSS, browser's native MathML support or web-based fonts, if browsers have it, to produce high-quality scalable typesetting. The choice of the math typeset method depends on the functionality of the user's browser, installed fonts, and configuration settings. Rich API allows easy integration with many popular platforms, blogs, wikis, web pages and other web apps. There is MathJax integration for Plone - collective.mathjax. This package provides MathJax as browser resources for Plone and registers them in the Resource Registry. 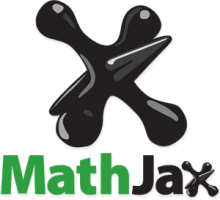 MathJax was designed to provide several powerful features to improve its accessibility. Since formulas with MathJax are text-based and they are available for search engines - mathematics becomes searchable. MathJax also includes copy-paste capabilities. Notations can be copied from the web sources into Word and LaTeX documents, web apps, research wikis, calculation software like Maple, Mathematica, etc. MathJax did everything to make notations easier to see and read, both for ordinary users and those with vision or learning disabilities. There are two out-of-the-box features: scaling all equations in a page or zooming in on a particular equation, both of them allow readers to see small details like scripts, primes and hats. This and compatibility with screen readers, screen magnifiers, and learning disability software helps all users to access mathematical content. integration into web applications and compatibility with other math software.